Have you heard about the different colors of the year? Several companies chose a color to be featured for each year. 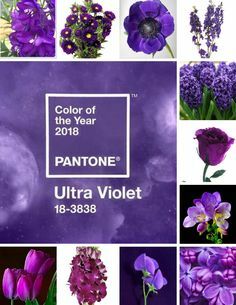 Pantone picked Ultra-Violet. I have to admit- purple is not one of the colors I use in my home or my clothing. It just isn’t something I am drawn to. I love it outside in the garden, but not in my home. But I did look up a few ways to use it as an accent in your home. If ultra-violet is a color you absolutely love, how about going all out and getting this plush sofa? This would be quite the statement piece!